As the holidays are approaching, there are plenty of reasons to explore the city to celebrate its dynamic culinary scene. Fall’s bounty is reflected in the seasonally changing menus as we explored the city to check out new hotspots from the Meatpacking and East Village to Midtown and the Upper West Side as we tasted a variety of international cuisines that tantalize the palette. The culinary scene in the already sizzling Meatpacking district just got hotter with the highly anticipated opening of Megu New York at the Dream Downtown. Establishing its name as the premier haute Japanese destination in Tribeca, seasoned restauranteur Jon Bakhshi has reimagined a new Megu in a splashy 5,000 square-foot venue filled with customary Japanese interior accents, complimented with an futuristic 3-D mapping cinematic ambiance. Notable dishes include King Crab Pineapple Roll with Avocado Truffle, Tobiko, and Shiso; Tatsuta Fried Chicken with Pickled Eggplant and Candied Ginger Sauce; Wagyu Beef and Foie Gras Croquettes with Truffle Aioli and Micro Wasabi; and Branzino Kabocha Risotto with kombu, tamarind wakame broth and basil oil. Crispy Tuna Tartare, Nori Taco Shells, and Edamame lollipop – all made in house – serve as additional highlights. A selection of vegan and vegetarian options are also available like the Okinawa Sweet Potato Ravioli with Kombu Foam, and the Agedashi Tofu with Mushroom Dashi Broth, among others. Executive Chef Frances Tariga Weshnak combines classic Japanese fare along with a dash of avant garde dishes to create a global dining experience. Hailing from Chongqing, Zhu Rong, has taken her popular chain from China to Greenwich Village bringing traditional i.e. non Americanized Chinese dishes to the mainstream. Flanked by two chefs who excel at manipulating bubbling oil, steaming hot woks, and molding dough, Zhu opened Hao Noodle and Tea by Madam Zhu’s Kitchen. 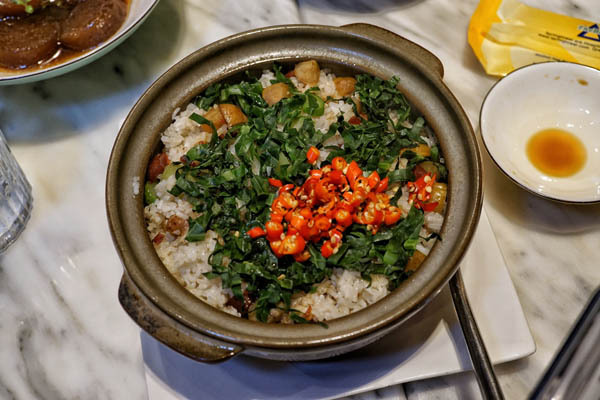 Inspired by traditional Chinese dishes, the menu includes classics regional dishes from different areas of China with a penchant towards the spicy and flavorful Sichuan region. A highlight is the fiery Sichuan Chicken laced with tongue numbing Sichuan peppercorns, sweet smoked sole, crispy shrimp sauté, and spicy Madam Zhu’s spicy fish stew. The highlight of the menu is certainly its hand-pulled noodles. Whether its the Taiwanese pork noodles or the flat noodles served with pork meatball, guests will be left with a satisfied appetite. Rounding out the menu is the warm soothing tea. Guests can choose from a delicate silver needle and white peony, herbal tea, oolong, among others. Already taking the food world by storm, Madam Zhu has her eyes set on multiple locations in NYC, and don’t be surprised if there is a Hao Noodle outpost in your neighborhood soon. 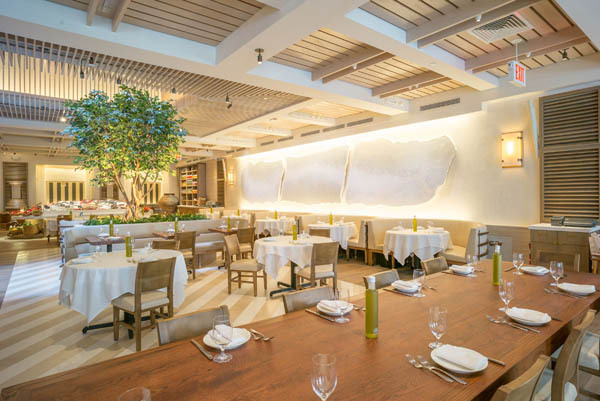 Building upon its success in midtown, The Tao Group has opened a second outpost of Avra Estiatorio Madison in a sprawling and airy bi level 7,000 square foot space on 60th street between Fifth and Madison that was previously incarnated as Rouge Tomate and Copacabana. 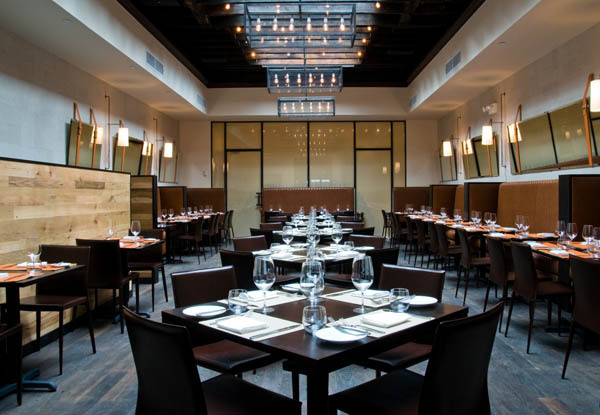 Known for resonating with Manhattan’s elite that represents a cross section of the beautiful people hailing from uptown and downtown, Avra Madison is the latest UES hotspot where the food is as good as the people watching. Offering traditional Greek cuisine with an emphasis on fresh seafood, the restaurant was designed by David Rockwell and inspired by the carefree spirit of the Greek islands with a light and breezy setting with marble from Greece, lemon trees and a white salt wall sculpture. While Avra excels with classic Greek appetizers such as hummus, tuna tartar their specialty is their extensive fresh seafood selection ranging from juicy oysters, fresh sashimi, to grilled black sea bass and imported Mediterranean fish. For carnivores Avra Madison has entrees from the land too. Known for introducing Manhattanites to the world of California cuisine in the 80s to much fanfare, Jonathan Waxman was named the Best Chef of New York by the James Beard Foundation. And now he presents his award winning cuisine with farm fresh ingredients in his latest revival of Jams restaurant for a new generation of foodies at the luxuriously ecofriendly 1 Hotel Central Park. 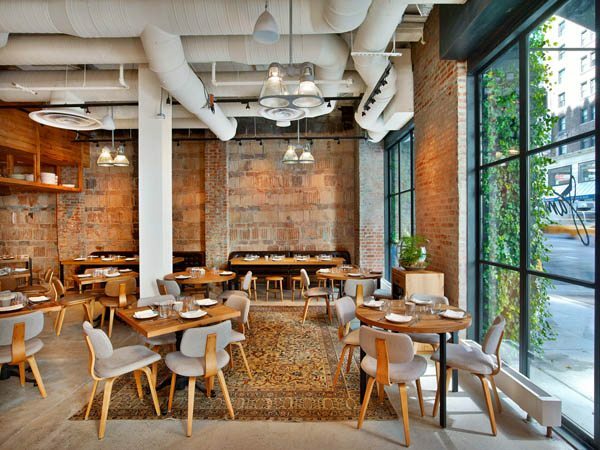 Evoking a very California feel, the airy space features reclaimed oak tables and floors, exposed brick walls, warm ambient lighting, and floor to ceiling windows opening onto Sixth Avenue. A signature dish that resonates with Waxman’s loyal following is his roasted chicken with crispy baked skin on the outside and juicy flavorful meat on the inside. As everything is sourced locally, the menu changes by the season. To reap Fall’s bounties, his new fall additions include a delicious gnocchi dressed with roasted cauliflower, pork sausage, and parmesan, as well as charcoal roasted Brussels sprouts with romesco and sheep’s milk cheese as well as their divine tuna poke laced with vibrant flavors. Pair your meal with their bespoke cocktails using fresh juices and seasonal herbs. A favorite is the spicy My Sharona made with Cazadores Reposado, grapefruit, agave, opal basil, and chili oil, as well as a new spiced apple cider laced with aged bourbon. For over 20 years, Nathalie De La Fontaine has been serving New Yorkers top notch Italian cuisine. Five years ago, De La Fontaine had the vision of transporting New Yorkers from the bustling streets of the city to the serenity and tranquility of Florence. Turning vision into reality, De La Fontaine commissioned the work of talented artisans, sculptors, and ceramicists for the art and decor of Machiavelli. Paying homage to traditional Northern Italian cuisine, Machiavelli has a rotating menu featuring daily specials from various Italian regions. The star of the menu is the show stopping handmade pasta dishes such as Gnocchi Tricolore, made with pillowy gnocchi in spinach, potato and beet renditions, tossed in a golden heirloom tomato sauce that is equal parts zesty and flavorful and the Farfalle Nere al Salmone features farfalle pasta, creatively dyed with squid ink for an eye-catching appearance, tossed with tender Canadian salmon in a creamy pink sauce. Italian dinner is never complete without wine. The all-Italian wine list is also one of De La Fontaine’s handpicked creations, carefully curated to offer top-ranking wine selections by the glass and bottle. The soothing ambience is only enhanced by the resplendent entertainment experience that features up and coming musicians from Juilliard and Lincoln Center performing live music. Starting his career at Bukhara, considered one of the top 50 restaurants in the world, Lala Sharma brought his talents to the Big Apple in 2001. His son has now taken over the reins of Surya as well as their newest project Lala Sahab, named in honor of his father. 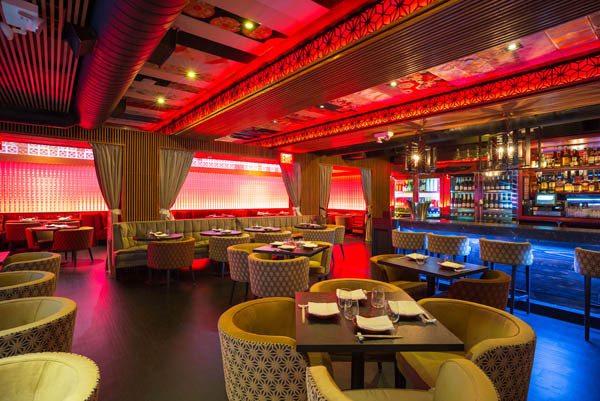 An Upper West Side local favorite, Lala Sharma welcomes patrons with modern, creative and authentic Indian cuisine. A twist on traditional tikka chicken, the tikka sliders combines tandoori chicken with paprika mayo and masala-spiced fries. The menu features traditional regional Indian dishes along with the chef’s signature creations such as the rich Butter Chicken, Lala’s Chaap, a tender lamb chop marinated in red wine, served with lemon rice and jeera aloo as well as Tikka-Wale Samosas, chicken tikka masala-filled samosas, and Dahi Batata Poori, small round crisps topped with Masala-spiced chickpeas, mint, tamarind and a creamy yogurt drizzle. Take a sip of authentic Indian and local craft beers hailing from Bangalore or pick one of the many beverages from the wine list specifically tailored to compliment the flavorful menu. 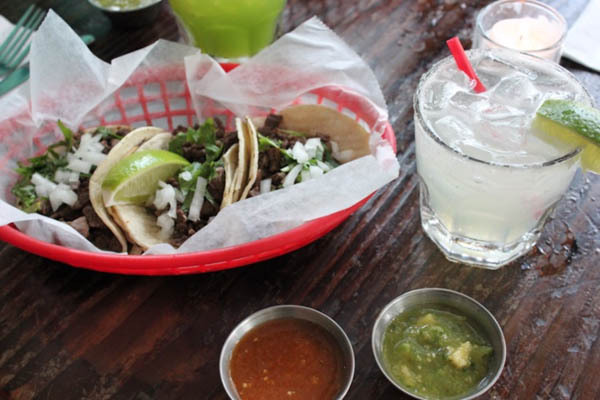 One of the most revered Latin eateries in the East Village just turned 17. 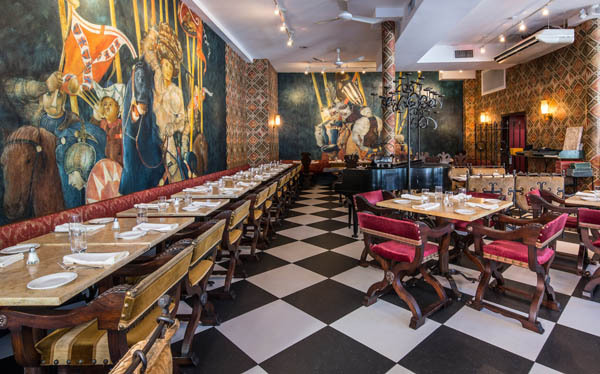 Esperanto owner Dimitri Vlahakis, who co-owns both Motorino locations, Alice’s Arbor and Alice’s Market, La Gamelle and Summit Bar, sought to provide an authentic Latin American concept through Esperanto with live music that sets the mood. The restaurant is evocative of a Brazilian botiquin, a beachside watering hole that serves as a community social spot. To add to the tropical flair, the brightly colored walls are washed in lively shades of cerulean blue and canary yellow, and windows accented with paintings of birds and tree branches. Signature creations such as the Chayote Salad, Frango de Casa, pan-seared chicken with cumin-coriander adobo sauce and topped with jalapeño butter, and Lombo de Porco, a juicy pan-seared pork tenderloin marinated in passion fruit and served with mashed sweet potatoes and sautéed spinach are as authentic as dining in Bahia. Other hearty options include the traditional stews such as the Feijoada, with Bahian pork and black beans, served with white rice and sautéed collard greens, and the Camarão da Feira, with shrimp, coconut milk, tomato and hearts of palm. Guests will feel transported to the tropics with their carefully curated nightly live music program, from samba singers to Afro-Latin bands, to add some warmth to chilly winter nights. Black tap is a popular casual restaurant that is known for their burgers and shakes. The overwhelmingly decadent milk shakes are named by their unique flavors such as sweet n’ salty, the cookie, cotton candy, sour power, oreo cookies & cream, u bet chocolate, vanilla, coffee, black cherry, peanut butter, caramel, nutella and strawberry. Coming to Black Tap is an ultra sensory experience enhanced by the cool graffiti on the outside walls as well as their sculptural and visual milkshakes that encourage people to pose and take photos to post for social media. 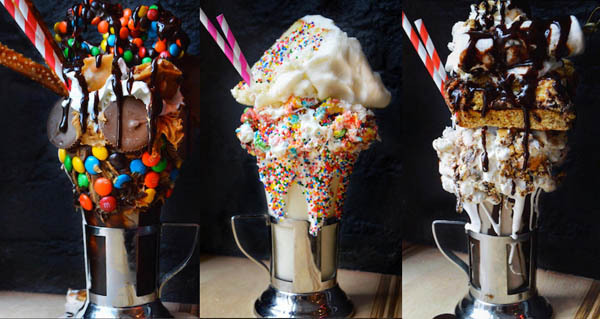 Known more for their shakes rather than their meals, the lines are fairly lengthy due to its extreme popularity but well worth the wait.